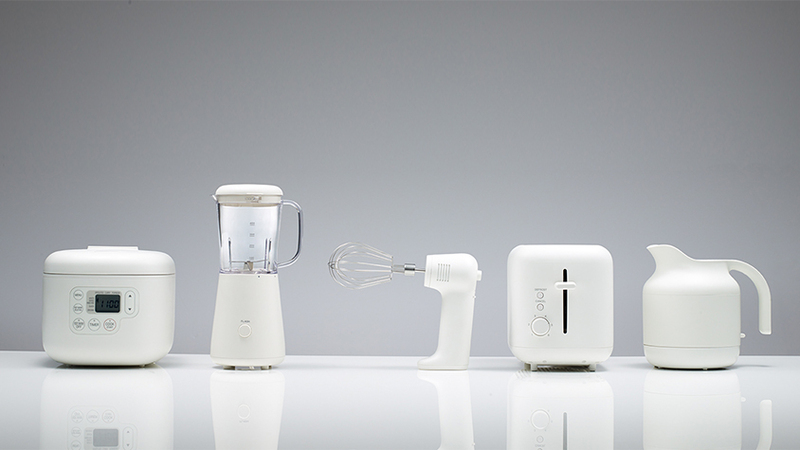 Part of his line of streamlined, efficient appliances designed for MUJI, Naoto Fukasawa’s white hand mixer whips up cream, eggs, and batters with an intuitive, utilitarian design. It features two mixing speeds, a removable, single wire whisk head, and a body that stands upright on your counter. Made from white, BPA-free resin, it will harmonize with any array of appliances. Standard plug-in with 5-foot cord. Fukasawa is a designer included in MoMA’s collection.